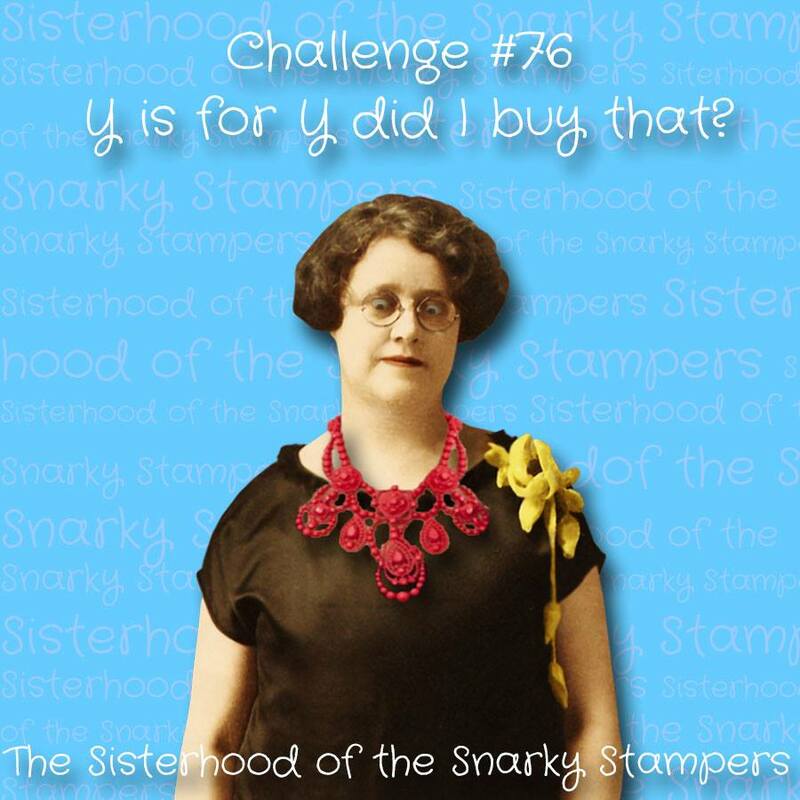 Keep Calm & Snark On : SoSS #76 - Y is for Y did I buy that? SoSS #76 - Y is for Y did I buy that? This is another one of my favourite annual SoSS challenges. Ya, I have LOTS of that stuff...but I wanted to go another way this time around. Yes I am talking about my new poop emoji dies!! 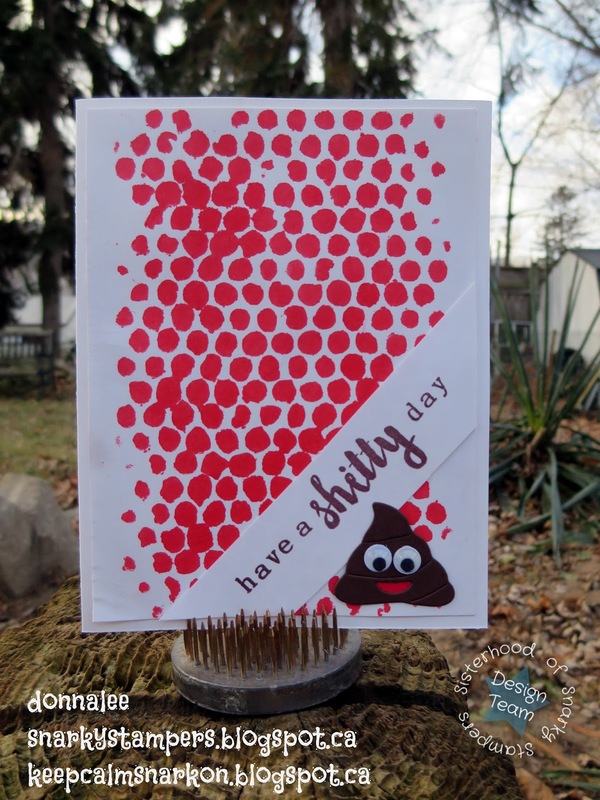 Why does one need poop emoji dies? 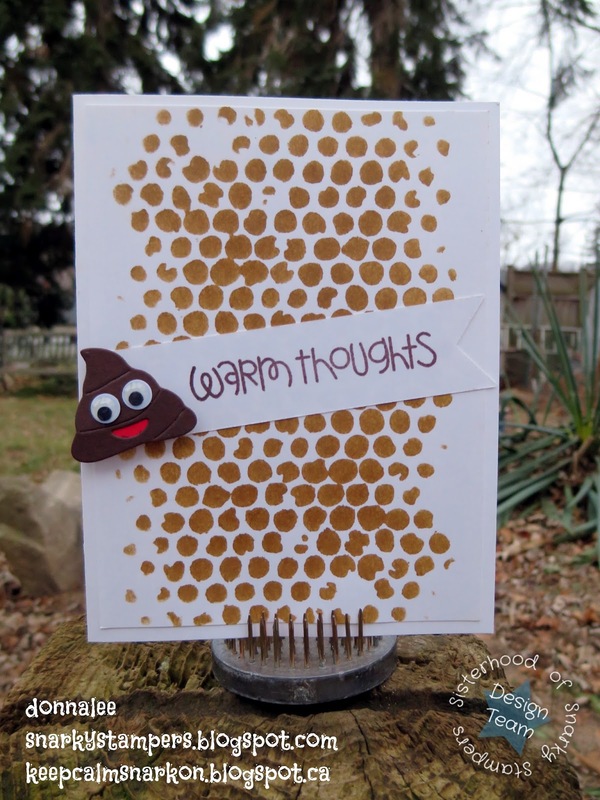 How many cards can one make with poop emoji dies?? My friends...the possibilities are endless. Similar to my S is for Stencil cards, snot one and snot two...here for your review and consideration are poop one and poop two! As always, Edna and the sisterhood would love for you to play along with us. Check out all the details for the challenge on the SoSS BLOG and while you are there please share some crafty lovin' with my snarky sisters. Anyone with a sarcastic bone in their body will want these. Fab. job with it love those googlie eyes they just make the die. Fab. I LOVE your poop cards! These are so freakin awesome!! I keep starting to comment and having to stop because I'm laughing too much. Brilliant! I think perhaps both cards are number 2? ;) These are awesome!!! Oh God! I just read Lindsey's comment above me and now I'm ROTFLMAO!!! !